Adam’s company has been able to take curcumin science to a whole new level in the last year. 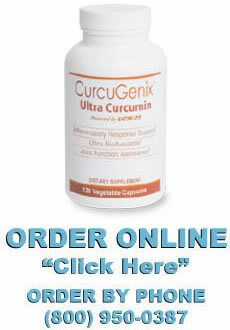 His curcumin supplement --can achieve peak curcumin levels in 20-40 minutes in the blood. His product is up to 14,000 times the bioavailability of standard Curcumin and ten times the bioavailability of phytosome preparations. Health Quarterly had the opportunity to interview Adam Payne about this new form of curcumin delivery. Below is a transcript of that interview. HQ: Adam, thanks for your time. Tell our audience a little bit about your background and how you got into the curcumin business. Adam: Well, I was born a hippie, and I became a pharma; I did the reverse rebellion. I rebelled against my hippie roots and went into the Pharmaceutical industry and then while we were developing some fascinating things in rheumatology we came across some natural product extracts that were changing people’s lives over in India. That started me on a journey where I was kicking and screaming coming back into looking at natural medicine, natural substances such as a paradigm for how you could improve people’s health. It was in the context of developing a business around a natural extract for the treatment of eczema and psoriasis that we started a collaboration with some researchers that were looking at this very question we are talking about, which was the bioavailability of curcumin. There were some researchers at the University of Oklahoma Medical Research Foundation named Dr. Hal Scofield and Dr. Biji Kurien who had spent a lifetime looking at ways of improving the kinetics of curcumin absorption. Their ideas were simple. They thought if we turn curcumin into a liquid we could get it into the body which makes sense because curcumin by itself if you look at it under a microscope is like quartz crystal. It’s insoluble in water and barely soluble in ethanol. It just doesn’t absorb like taking a bunch of rock crystals and saying I am getting raw minerals in my body. There is so little curcumin in turmeric that just taking raw turmeric does not allow for the transfer of the curcumin into the body. We initially approached it with these researchers to be a liquid. That gave birth to the patented technology that we brought out to the market just a little over a year and a half ago in 2014 called CurcuGenix. HQ: Could you share with us what you were doing with the pharmaceutical company? I don’t want to dive too much into that. I just find it interesting that your background was pharmaceutical products and you left that industry for this. We don’t see too many people come from that sector and go into the natural. Adam: You know you follow where your heart leads you to. I got into pharma work because it was designed to help people and one of the first companies I worked with was a cationic anti-microbial peptide designed to kill gram negative bacteria. That is a huge need and that product is still in development and will have a huge impact on human health. 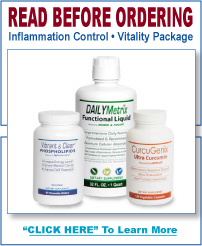 Another product I worked on as the CEO of the company was a combination therapy for inflammatory bowel disease. We had a combination therapy as both an enema and capsule that would deliver topically to the affected tissues in the colon and small intestine, and a combination therapy that we thought was going to have an enormous impact on IBD and Crohn’s disease. It’s one of those stories we threw millions of dollars at and the whole idea failed at clinical trial. It is one of the things that kind of bugged me about the pharma approach. We spent literarily close to 12 million dollars just to get it to that point, just to put it into a human study and test whether it worked. It turns out it didn’t do anything. One of the really cool things about what attracted me to what we are doing with nutritional supplements and natural medicine is that we can literarily go straight to testing this material on people right from the get-go. That’s what we did with our curcumin. Let me take a couple of steps back and explain what we did. Since we were looking at liquid curcumin, we started not from a solid like what is done when you make a Nano particle curcumin or micronize it, or encapsulate it in a liposome, micelle or phytosome. We started with a liquid, and we learned that the liquid had some fascinating interaction with proteins and other materials. The idea that we had was just really simple. Because of my Pharma experience we were always thinking about ways to deliver things into the body. We used the same concepts I learned in pharmaceuticals here. We knew how curcumin behaved with certain protein structures and I thought, well, we could just bind this curcumin to this protein scaffold potentially, coat the protein with this molecular monolayer of curcumin, and as the body is digesting the protein our thought was the body should just readily absorb the curcumin in the same molecular form. And lo and behold it did. We saw plasma levels in people when we measure it with chromatographic instrumentation that had never been seen before. Our first experiments were showing people getting over 2000 nanograms per ml of blood with a couple of capsules, and that was just unheard of. The clinical responses we were getting were just phenomenal. Obviously, we are not selling a drug we are selling a nutritional supplement, so we are not selling this as a treatment or as a cure for any disease, but as a way to help people improve their immune system. We are not selling it as a liquid. We use the liquid and bond it to whey protein and encapsulate it. Most people taking it just for inflammatory support are taking one capsule twice a day. For people that are looking for more that are dealing with inflammation that is out of control they are taking two capsules twice a day. Most people are getting more than adequate benefit out of that dosage. HQ: When you say that curcumin is like crystal, that’s interesting to me because it is coming out of a plant source. Why is it in that type of shape or molecular form? Adam: Curcumin is a highly prolific molecule; it binds to itself very quickly, so curcumin is extracted out of turmeric when you do the extraction, and most of the extractions that are done for getting curcumin out of turmeric are solvent extraction. It comes out, and they crystallize it down into a purified alkaloid material. When it gets into this purified stage, it turns into this crystal structure. HQ: So you are the first company in the USA that has done this particular process? Adam: Yes, it is our intellectual property. There is a company taking the international patent that we are doing and trying to develop some drug strategies with it. I decided earlier on that we will see so much benefit out of this product that it will be immoral for me not to get it out into the marketplace as soon as possible. HQ: Where do you obtain the Turmeric from that you use to extract the curcumin? Adam: The turmeric is imported from an industry leading raw material supplier with connections to farmers across the world. It is processed here in the U.S. We do our entire process here. All of our whey protein that we are using for the scaffold extract is mainly from Wisconsin cattle. All of our chemistry and ingredients that we buy are essentially made here in the U.S., so the extraction for the curcumin is done here, the whey protein is here, and we do all of our manufacturing to make the CurcuGenix complex here in our facilities. We are not outsourcing any of that. We control all the quality. HQ: So let’s get into the whole comparison of this particular version vs some of the other products that are in the market. There is the Nano Curcumin which you mentioned. There is the turmeric with piperine, the BCM-95. Tell me what the different versions are and do a comparison. Adam: There are some great technologies out there and there are some technologies that aren’t that great. So let me start with the ones that are doing a great job. There is the BCM-95 technology which is curcumin plus turmeric oil. That’s not a delivery system. It is getting into the body and people are seeing results in a couple of days, if not a couple of weeks. There is a loading that happens. We see levels of up to 40-50 nanograms per ml in the blood with a couple of capsules, so you are getting some serum exposure with BCM-95. Then we have the Nano Curcumin, the phytosomes, and the liposomal formulations. Those also are doing really well. I think those are one step above the BCM95 product, although I think the BCM-95 people would probably take issue with that. But essentially there are really exotic methods for making micronized or nanoparticle sizes of curcumin and encapsulating them in different structures that enable the body to absorb them. They are getting levels up to 50-200 nanograms per ml with a couple of capsules. I think the highest I have seen is in the mid 100’s. The black pepper is really interesting. Black pepper, contrary to what many people are saying, does not increase the amount of curcumin that is absorbed in the body. We thought that was what it was doing earlier on, thinking that the black pepper was inflaming maybe the mucosa and the gut and allowing for more transport. When we went into literature, we rally started to understand what black pepper was doing. What black pepper does is that it inhibits an enzyme in the liver called glucuronidase. Glucuronidase is responsible for the breakdown of curcumin in the body so as it is passing through the liver, glucuronidase chops up the curcumin and makes it ineffective. When you add black pepper to your body, your body will then slow down the metabolism of the curcumin that is being absorbed, and so you see an increase in the level of curcumin that you have in your body, but it’s not because you are increasing the absorption. It is because you are decreasing the rate at which it is metabolized. My caution with black pepper is that black pepper will also slow down the metabolism of other things that you are taking and it will slow down more than 40 pharmaceutical products that people might be taking, and it could result in a dangerous situation for people that are taking drugs, not recreational drugs, but pharmaceutical drugs. It could increase the levels of these different drugs in the body. By in large, piperine is a safe material to take, but I would suggest that if anybody is taking a pharmaceutical product that they talk to their doctor to make sure piperine is not going to adversely affect the levels of that drug in their body. Piperine curcumin products will increase the bioavailability by a factor of 7, so if you take 2 grams of curcumin a day with piperine, you will see a blood signature of about 50 nanograms. That is equivalent to having like 3-4 capsules of just pure curcumin plus piperine, but most people aren’t selling it that way. When you compare those strategies to what we have, there is a significant difference. We are seeing on average based on the data that we have today; one capsule is about 600 nanograms of curcumin into the body at peak levels. When you compare that to my competitors, it is a factor of about 140 more on a capsule to capsule comparison than just regular curcumin. It’s about 2030 times more than curcumin with black pepper extract, and it’s about a factor of 5-10 times more than the liposome and the nanoparticle products out there. That’s significant. Our absorption rate is really fast. On an empty stomach, we will see maximal exposure between twenty to forty minutes. How does that translate? It’s like you are getting this huge bolus of curcumin into your body in a very short period and the earlier obviously you get the curcumin into your body, the more beneficial it is going to be. Most of the other formulations take up to two hours to see a maximum level of distribution of their curcumin into the circulation. HQ: So how are you determining these blood measurements? Adam: We do it using a state of the art mass spec and liquid chromatography. If we extract blood from people at different points in time so we measure the levels of actual curcumin in the body using mass spec instrumentation it is pretty exact. The people that we measure are a lot of times me and some other co-workers. We have become human pin cushions, and that’s the price we pay for coming up with something. We do literarily pour or blood and sweat into this thing. HQ: Wouldn’t it make sense based on what you are discovering that if you are not going to take a product such as yours that you would at least take curcumin or turmeric with whey protein or a protein supplement? Adam: That wouldn’t do it. It won’t do it because you have to go through the chemistry of binding the liquid curcumin to the protein sub strain, and there are some tricks to how you go about doing that, and that is done in chemistry. In optimal conditions, it takes a week to develop the chemistry. Our product isn’t that expensive; it’s up there, but for the benefits that most people are getting, most people find that the $40 to $50 they will be spending a month on the product are worth it. We haven’t had too many people complain. HQ: Is there anything else you would want to share with our audience about the product or what you guys are doing? Adam: Yes, there are some warnings that we’ve got. Curcumin does impact blood clotting kinetics through the thrombus pathway or the factor XA pathway. If anybody is taking blood thinners, especially Coumadin and warfarin, you should not ingest a curcumin product without consulting a qualified hematologist. The other warning that we have is that we don’t know whether curcumin will affect a developing fetus. Nobody has done studies at the level that we have to show whether curcumin will have an impact on a developing child in the mother’s womb. We will strongly suggest that anybody that is pregnant or thinking of getting pregnant not to take curcumin products until we have more data to support something like that. That’s just more of a precaution, but definitely, on the blood thinners, you want to stay away from curcumin until you have seen a hematologist. I will also caution that anybody that is on chemotherapy should talk to their oncologist and make sure they are aware of the effects the curcumin can have on their chemotherapy before taking it. I think that covers it. HQ: Ok, thank you for the interview. I appreciate your time. *These statements have not been evaluated by the FDA. This product is not intended to diagnose, treat, cure or prevent any disease. The information provided on this site is for informational purposes only and is not intended as a substitute for advice from your physician or other health care professional or any information contained on or in any product label or packaging. You should not use the information on this site for diagnosis or treatment of any health problem or for prescription of any medication or other treatment. You should consult with a healthcare professional before starting any diet, exercise or supplementation program, before taking any medication, or if you have or suspect you might have a health problem. You should not stop taking any pharmaceutical product without first consulting your prescribing physician. Resale of CurcuGenix without written permission is strictly prohibited.